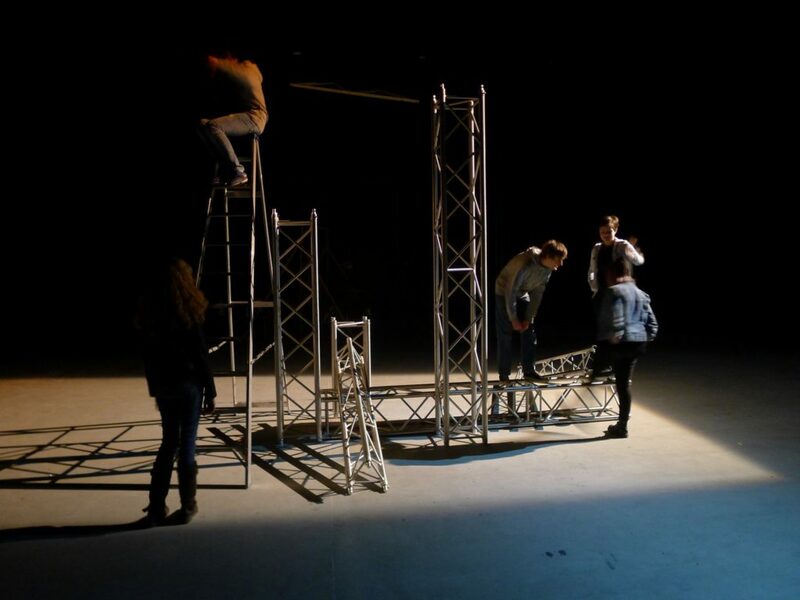 Score for Stage Hands was first performed at The Backstage Centre on the 10th May 2015 by students from South Essex College Theatre Stage Engineering course. 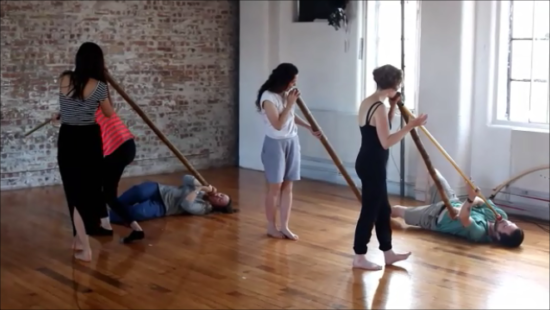 “The afternoon’s ‘Post Script’ is provided by the clatter and bustle of Score for Stage Hands, creating a neat counter-point to the meditative performance preceding it. 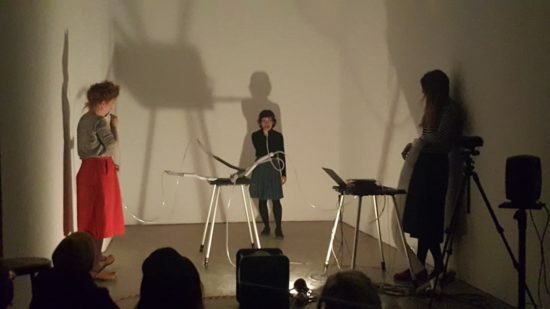 For this site-specific piece, performed by students from the Centre’s Technical Youth Team and South Essex College, the score is open text based and given to the performers in a large scale, projected, story format. Score for Stage Hands, 2015. 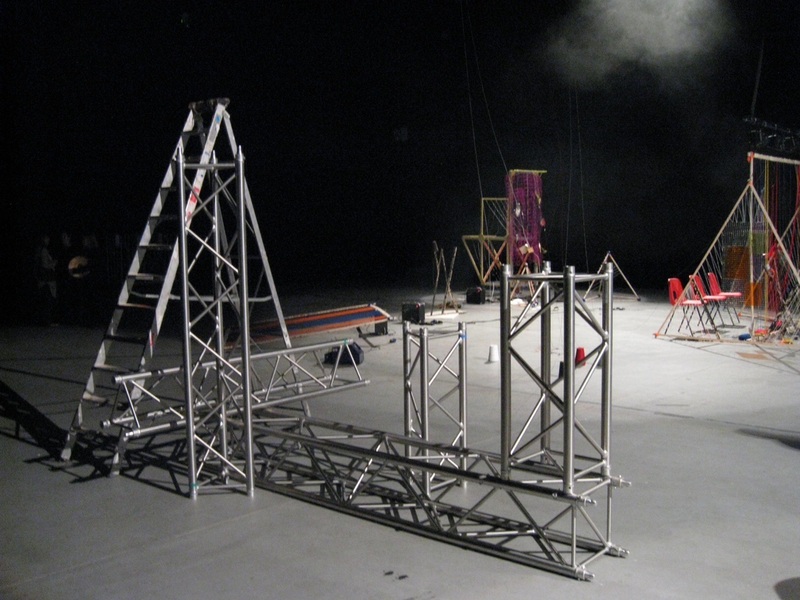 The task of the each Stage Hand is then to interpret their own place in the given story using only the technical theatre equipment available to them in the space (theatre lighting, scaffolding, ladders, sound, haze and a deconstructed band-kit, all to be moved around the spacious Centre). 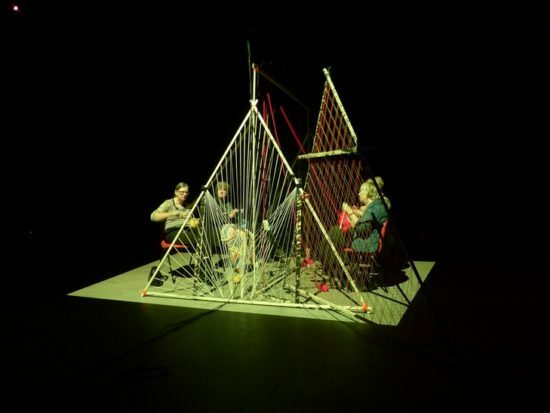 The stratagem, here, is the switch from utilising tools to assist in the creation of a performance into making the usage of the tools the performance itself. 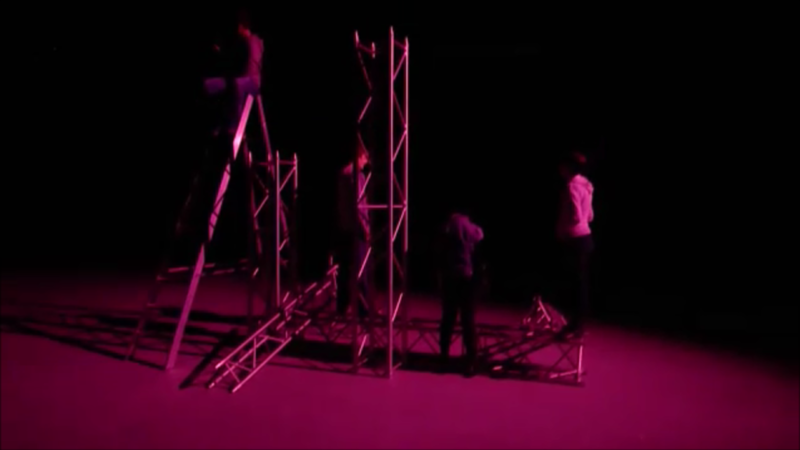 As the interpretation potentially utilises every area of the space (including gantry), in a low light medium, it becomes difficult to follow every twist and turn of the performance, which suggests that a longer time scale for any future enactment might aid the audience’s perception of the story/action interplay.